Green-clad drinkers weren't the only ones out having fun on St Patrick's Day. 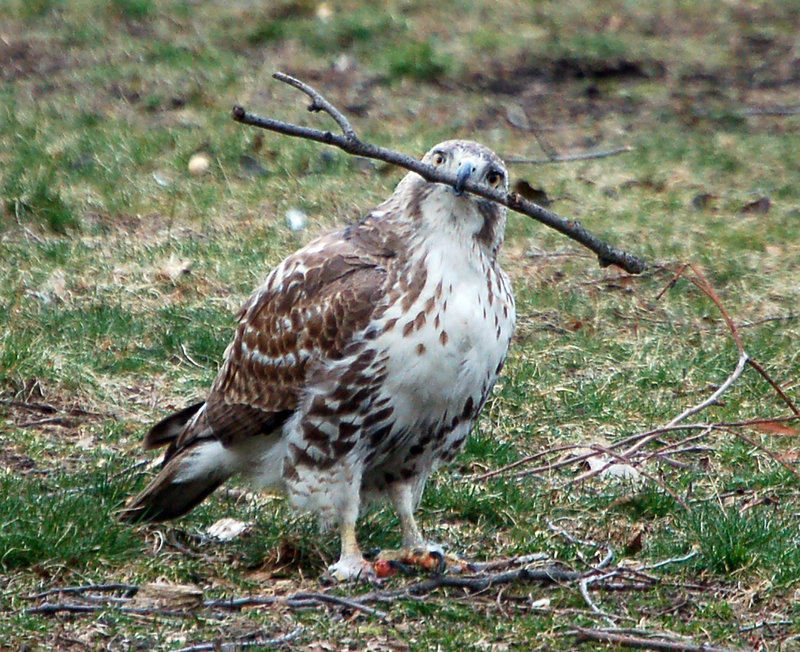 One of the Tompkins Square Park hawks seemed to enjoy him/herself a bit more than usual on this pre-Spring Sunday. 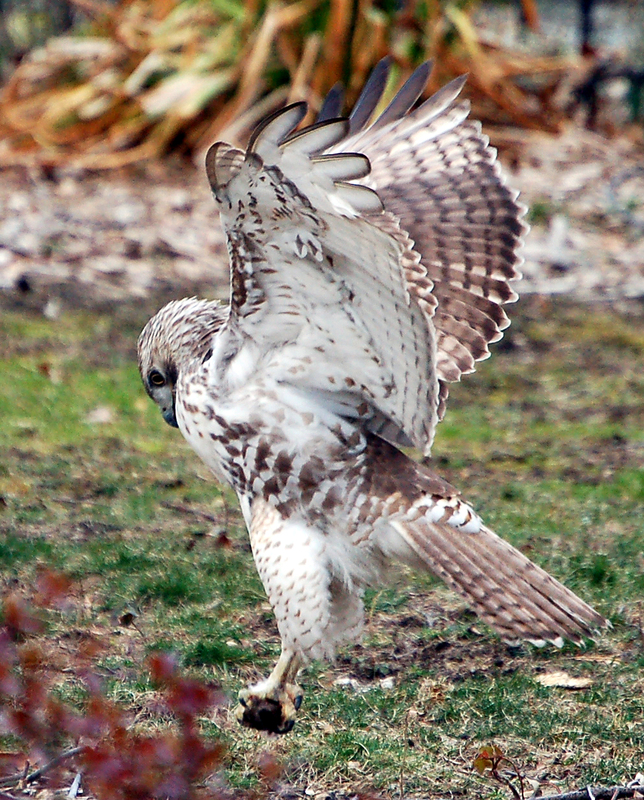 After a lunch of pigeon, followed by an hour sitting in the Hare Krishna tree watching a soccer game, this hawk pursued a mouse in the grass and then seemed to get downright silly. Who's up for a game of catch? 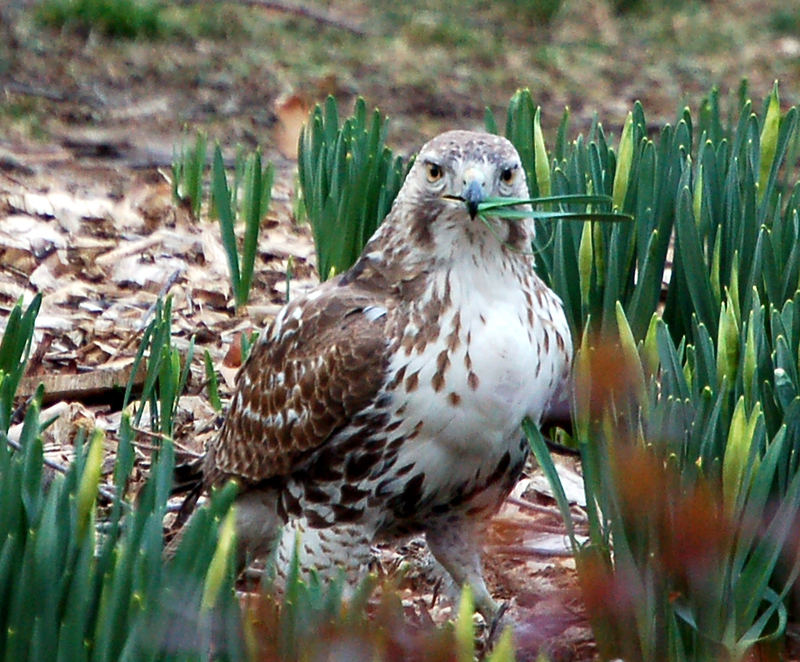 I'm told the hawk is too young to be building a nest, so I can't explain its behavior. To a layperson, it looked like the hawk was just having a whole lot of fun. Ha! These are great photos. that is nest building behavior... if the RTHwak is that young, then it is practising. Wilding in the park! That last shot is ADORABLE!